Rowan Atkinson has reportedly delivered a piece of shocking news to his friends and family after he announced that he will be taking a break from his acting career for a whole year to focus more on his youngest daughter. The 64-year-old actor has a son Ben and daughter Lily with ex-wife Sunetra Sastry, while his girlfriend Louise Ford gave birth to daughter Isla in December 2017. According to the Sun, the 'Mr. Bean' actor told his friends: "I am going to take care of Baby Bean while Louise has the chance to concentrate on acting." 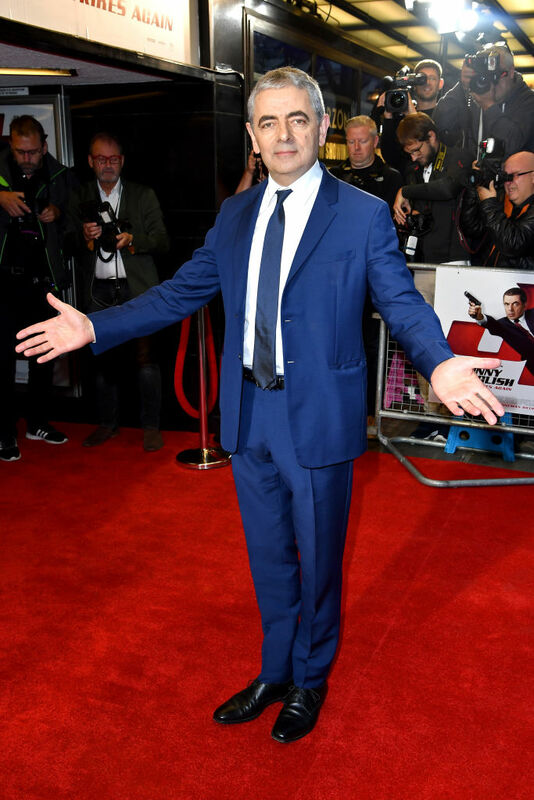 The renowned actor has also starred in the lead role of Chief Inspector Jules Maigret on the ITV series 'Maigret' from 2016 to 2018, as well as 'Johnny English Strikes Back' that came out last year as part of the 'Johnny English' franchise. His girlfriend Ford's career has been rising through and through, especially since she played the highly coveted role of Duchess Kate Middleton in the royal spoof, 'The Windsors'. A source told the publication: "Rowan has a habit of surprising people – and he has done it again with this announcement." "He has said he will take a back seat from work to be with Isla, and this will obviously allow Louise to focus on her career which is going well." The insider added that it is a kind gesture from the actor so that his better half can have more time to focus on her own burgeoning career. The insider continued, "Rowan loves spending time with Isla, he completely dotes on her. She is mischievous like any baby and gets into scrapes at home, which is why Rowan calls her 'Baby Bean'. Rowan does not really need to work if he does not want to – but he is proud of how well Louise is doing and wants to do what he can to support her." It was back in 2014 that Atkinson’s 24-year marriage to former BBC make-up artist Sunetra Sastry hit rock bottom after there were rumors of him having a new woman in his life. It was then found that the mystery woman was Louise Ford, an actress he met while they appeared in the play 'Quartermaine's Terms' in 2013. Fast forward to 2017, the 'Blackadder' actor moved Ford into his £4.65 million cottage in North London just weeks after his divorce from Sastry. He bagged the role of an awkward secret agent alongside Natalie Imbruglia in the first installment of 'Johnny English' in 2003. Through the years, the award-winning actor, who attracted almost 19 million viewers in his role as 'Mr. 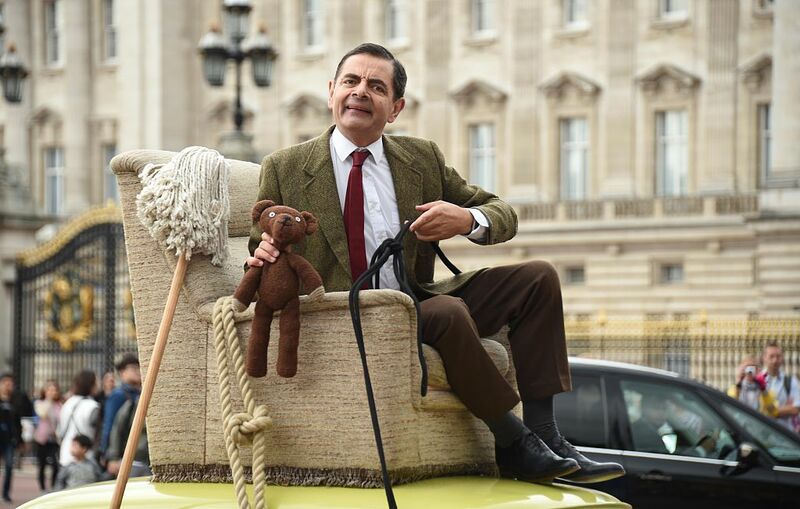 Bean' at the show's peak, has amassed a fortune of an estimated £70 million. Meanwhile, his girlfriend Ford starred in TV series 'Doc Martin', 'Crashing', and the film 'Fast Girls' – but is best known for her hilarious portrayal of Kate in the royal spoof by Channel 4.